Almost 2,500 years ago, Hippocrates captured one of the key principles underlying precision medicine. In the 21st century we take the understanding of the individual characteristics of a person to a new level. 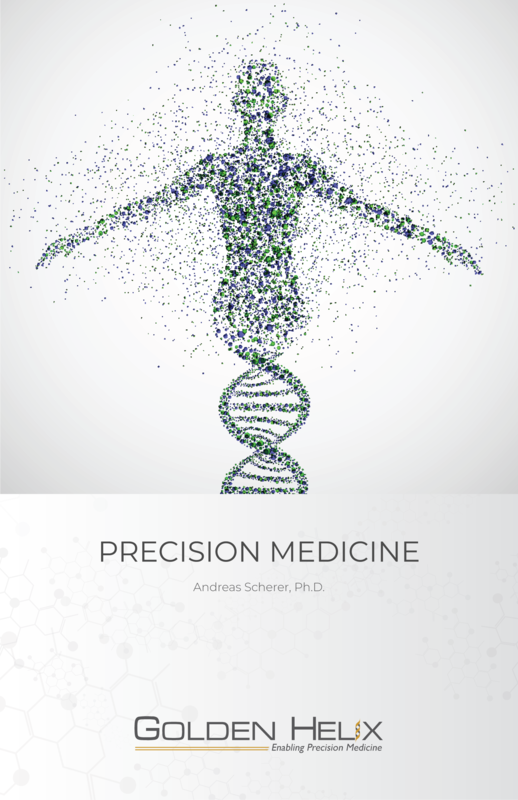 By leveraging information about an individual's genome we are able to increase the effectiveness of medical treatments. The goal is to have more successful outcomes by providing targeted therapies. The cost of sequencing a genome has dramatically dropped since the first draft of the human genome sequence was published in 2001. This is a key enabler. Now, it is very much in reach for a wide range of patients to receive a gene panel analysis or even a whole exome/genome analysis. But there is more that is required. Through a collaborative effort between clinicians, pharma companies, scientists and regulatory agencies, we are working on a new framework for standard care on a global basis. Complete the form below and we will email your copy to you right away. NOTE: If a form does not appear below, an internet setting may be blocking it. In this case, please email us with your interest here.